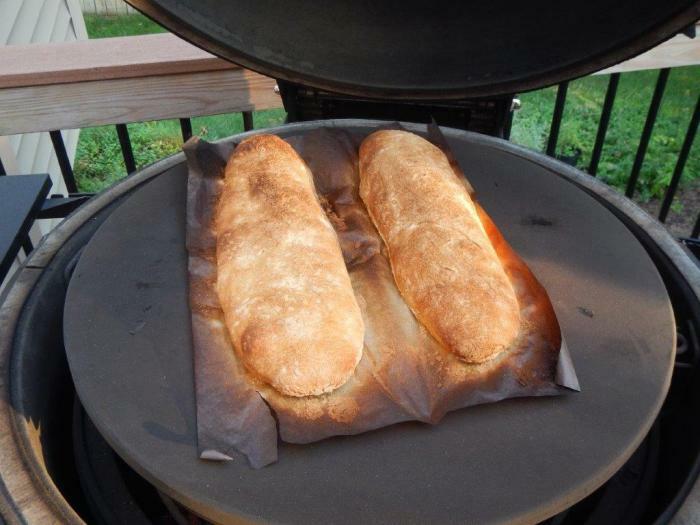 In my Kamado Cooking discussion posting http://www.kamadoguru.com/topic/30755-friday-fresh-baked-bread/ I stated this recipe was an 80% hydration, in recalculating it was more like 93% (oh my..), I will have to pay closer attention to the details when I make my next batch. 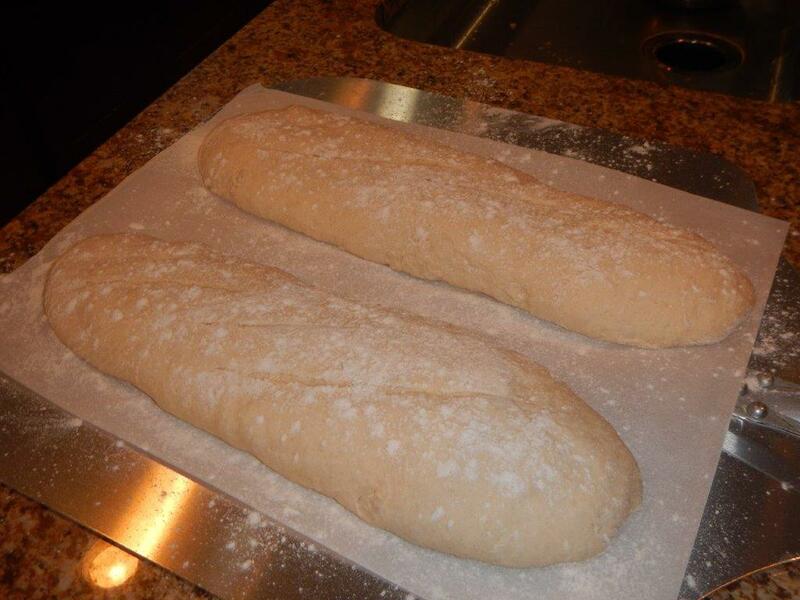 For those who subscribe to Cook’s Illustrated, I’m basically following their baguette recipe, but I’m making 2 loafs vs the 4 baguettes in the recipe. 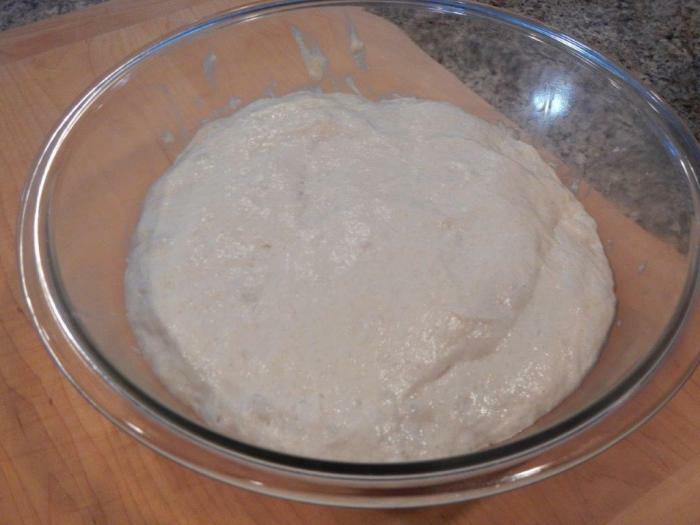 460grams (16.2 oz, ~2 Cups) of Sour Dough Starter, I use this as poolish (approx. 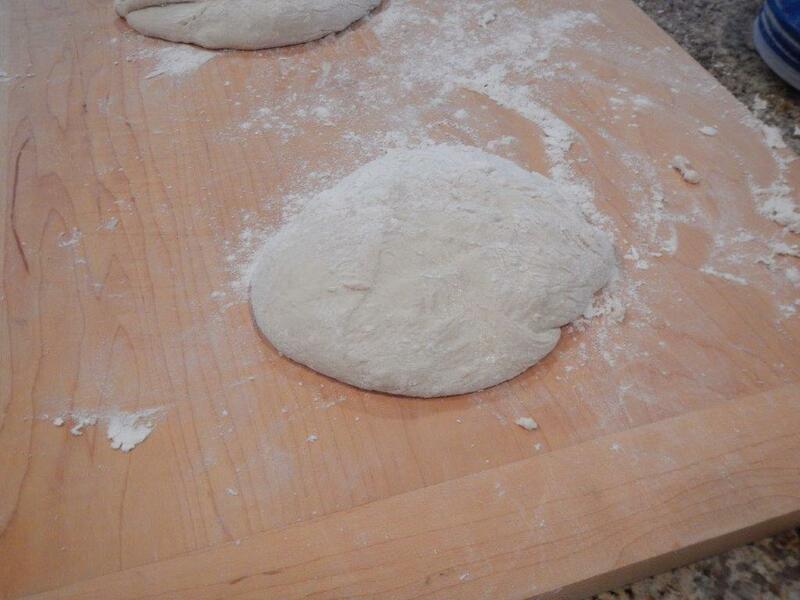 6.2 oz flour & 9.9oz water) Sorry for mixing grams and ounces, bad note-taking on my part..
1. Mix all the ingredients in a stand mixer for about 10 minutes, transfer to a lightly oiled bowl, and let rest at room temp for about 30 minutes. 2. Use the Stretch and fold kneading technic. Grab a corner of the dough, gently lift/stretch and fold the dough back toward the center of the bowl. Turn a ¼ turn, and repeat 7 times, you will be stretching and folding a total of 8 times, then wait 30 minutes. 3. Repeat Step 2 for a total of 4 times. 4. 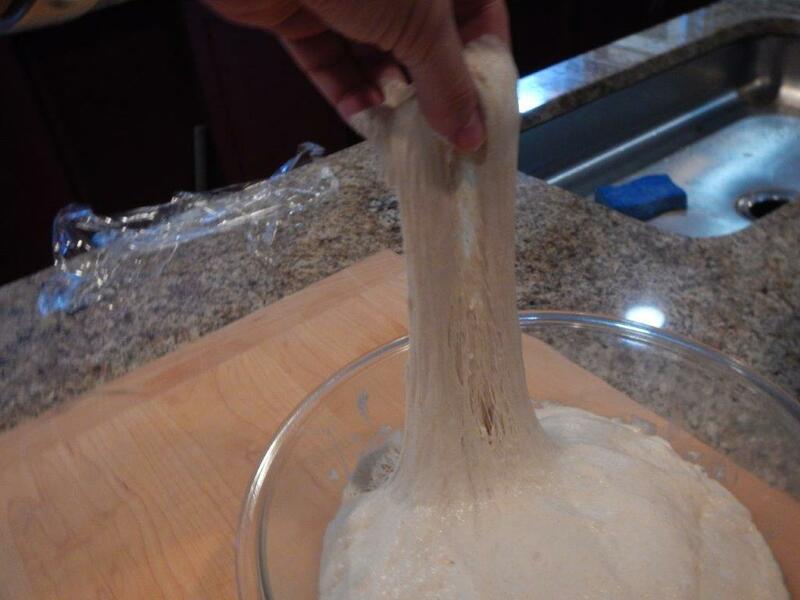 Transfer dough to a light floured counter or baker’s board. Gently pat into a square, try not to deflate and divide in two. 5. 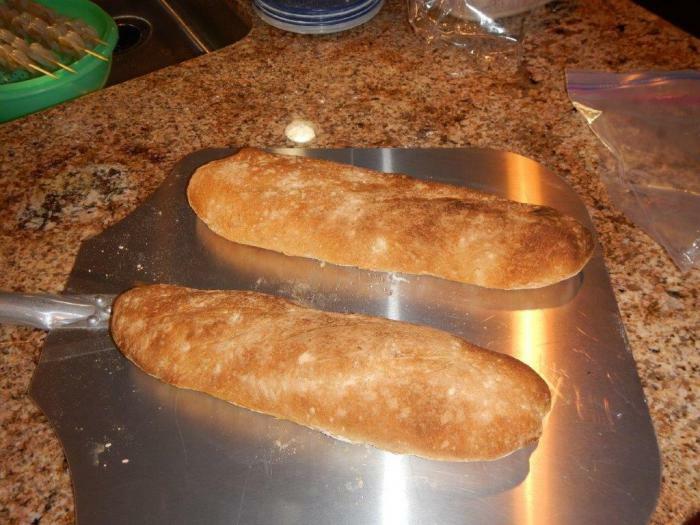 Shape the bread - It’s too hard to explain in words how I shape the bread, so take a look at this video https://www.youtube.com/watch?v=fdNRogR10nM I basically shape my bread this way, but I don’t roll it out into a long baguette shape, I keep it relatively short 12-14” or so. 6. Gently move the bread to parchment paper, and place it on the back for a baking sheet, or pizza peel. 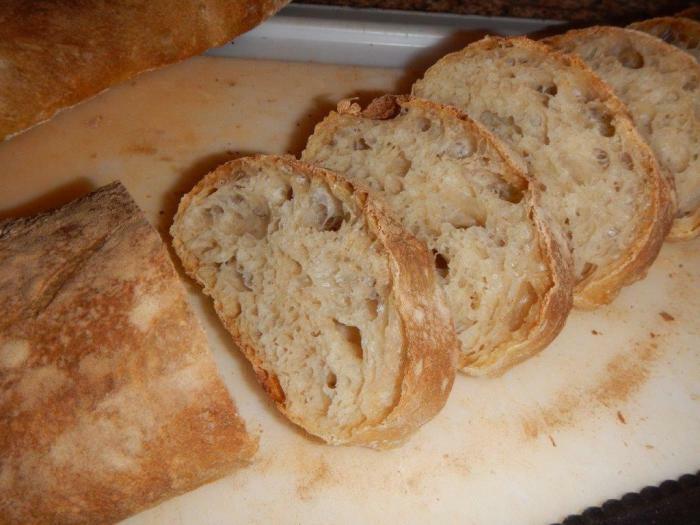 Let rest 45-60 minutes, then use a Lame to score the top of the bread, don’t score to deep, or you may deflate the bread. 7. Fire up the Kamado, I use the deflector-spacer-pizza stone setup, and heat the kamado to 500-550F. 8. Cook until done…. To about 205F, or about 25-30 minutes, the bread should be nice and golden brown. 9. Let the bread rest for about 15-20 minutes before cutting. 10. Enjoy. Best eaten the same day. Note - Originally I though my hydration was around 80%, in fact it was likely closer to 93%. I miss-calculated my poolish/sourdough starter as being 50:50 flour to water, when in fact it was much closer to 5:8 flour to water. I was using 1 cup flour (approx. 5oz) to 1 cup of water (8oz), which is definitely not 50:50.